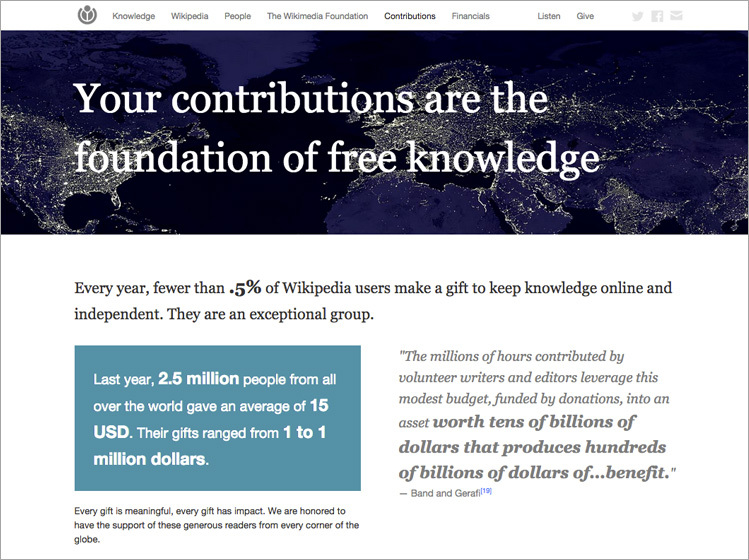 The annual report is an introduction to the Wikimedia Foundation and its mission. The story of the foundation’s year is told through inspiring stories, images, and concise graphs. This is the first online presentation of a Wikimedia Annual Report and the online version and the print version were conceptualized in tandem.